The Hossack is a 24,000-acre sheep and cattle station (ranch) that extends from near the central South Island tourist town of Hanmer Springs through a low saddle to the Clarence River in the north. Being long rather than wide in shape, the dominant terrain features are wide valleys, bush-covered slopes, numerous streams and creeks, and open grasslands. The history of the ranch dates back to 1852, when hardy pioneers first tried to tame the land. Luckily for hunters, they were conservation minded individuals who did not cut and clear all the vegetation. In more recent times, the ranch was purchased by a partnership of four, whose aim was to run the farming side of the property in conjunction with a hunting operation. 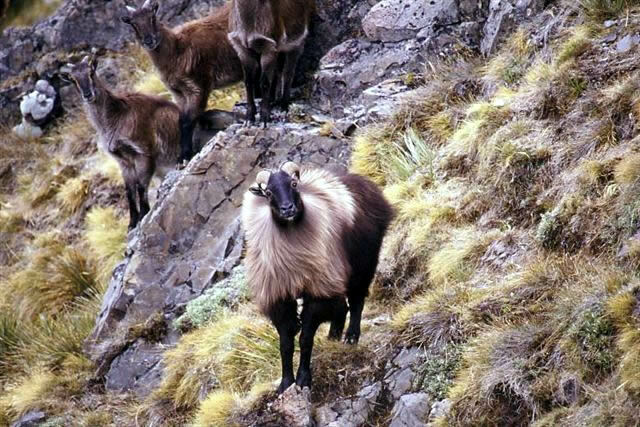 This region was always known for the quality of its free-range chamois and red stag herds, so the issue facing the new consortium was how to tap into this quality genetic base and produce even better trophies. In the early years of the partnership, the surrounding public land suffered intense aerial venison and chamois meat recovery, so it was crucial to quickly protect a big game base for The Hossack. The solution was to leave most of the ranch free-range but also create a “wild park” sanctuary. 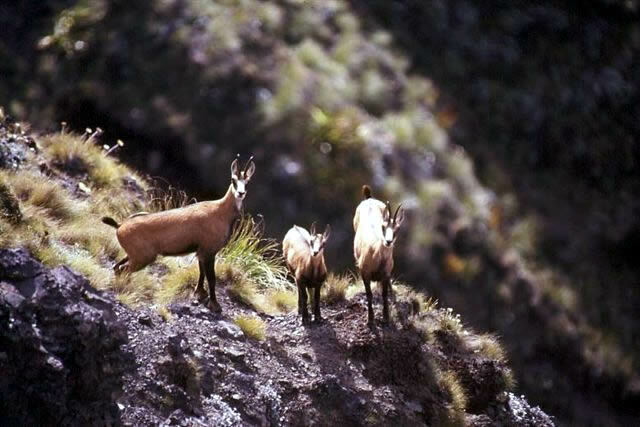 A high-fence was constructed around 2,000 acres of the best big game range, incorporating bluff and cliff areas for chamois and bush and open scrubland for the red stag. Many wild animals were trapped inside when the work was done. 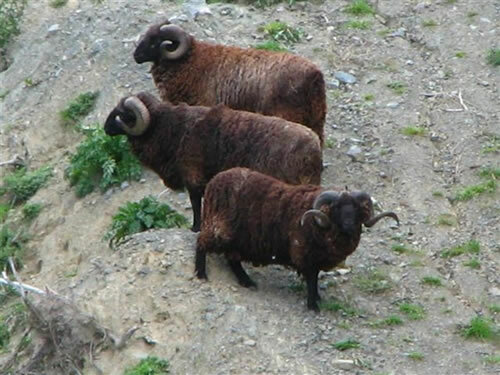 Additional local chamois from the property were caught and introduced, and in 2004 quality red deer hinds with the “Hossack look” in their genes were added to the wild stock already trapped inside. These introduced animals consisted of 90 hinds with calves, or in calf, from the property of John Barber, a deer breeder whose sire stags have long been renowned for producing antlers of mass and spread, a trait shared by many of the Hossack wild stags. 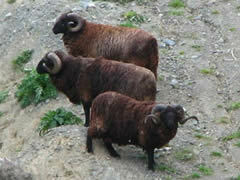 Vigorous culling of inferior and surplus stock since has given the herds every chance of producing excellent trophies. Also, no supplements are provided, as the partnership wants the herds to be as close to free-range as possible. This was always intended to be a long-term project. Unlike some operations where introduced animals are intended for immediate harvest, Hossack imports were put there to breed, providing wild progeny for future hunts. The result has been a truly “wild park,” where the trophies are very similar to the best of their free-range brethren and act as wild. They are not easy beasts to hunt, and the terrain is not a stroll in the park. The only obvious difference between hunting inside and outside the park is that there are more animals inside. The terrain is identical, and the hunting experience is identical. Unlike several small- to moderate-sized fenced areas in New Zealand set up over hunter-friendly grassland, this habitat sanctuary was selected for the animals first, reserving the integrity of what The Hossack is all about. 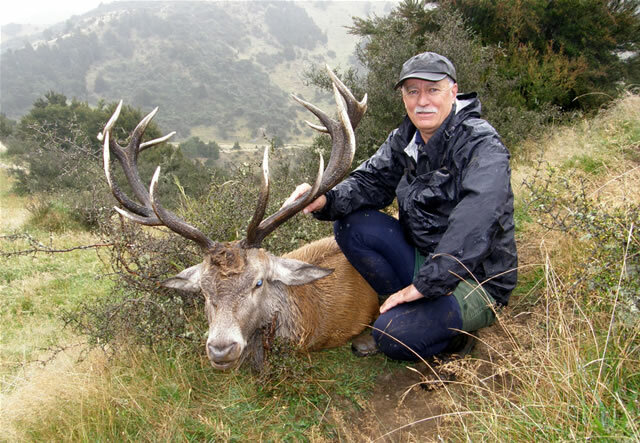 For the top-end international trophy hunter wanting big stuff, The Hossack also offers a second, more traditional safari park, stocked with the big gold-medalplus red stags New Zealand is famous for. What makes The Hossack unique for me is the preservation motivation behind the wild park concept and the authenticity of the finished product. It is a great replica of real New Zealand hunting conditions, and the trophies are representative of the best free-range heads available. 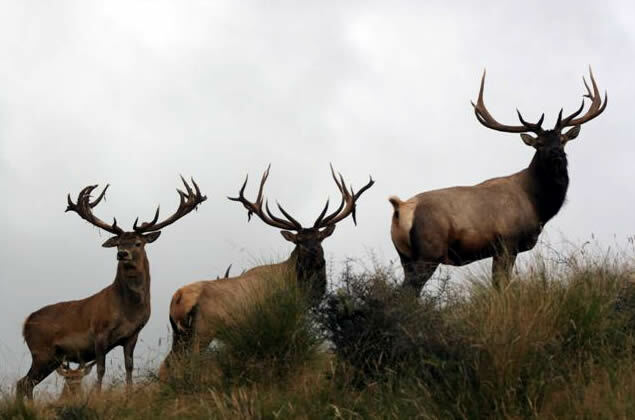 A Hossack Wild Park stag will: have been born wild in the park; be four to seven years old; have between 12 and 16 points; score low gold, silver or bronze medal; be a big, solid animal; and have good antler mass with even tines and heavy, short tops. They provide the successful hunter with a real hunt. Hossack hunters are encouraged to hunt the free-range parts of the ranch first, but if the animals prove too elusive there then the same experience with more animals is available to them in the wild park. I recently visited The Hossack during the roar (or rut period) for red stag (March/April), and was guided by Jeremy Angland, the chief hunting guide of the operation. A short two-hour drive from Christchurch put us at the ranch. Angland, a skilled professional, knows The Hossack intimately and over the following days he showed me all the hunting hotspots. My hunt was a free-range hunt outside the park. Over four days I saw 50 to 60 deer, a dozen chamois, and 30 wild pigs. 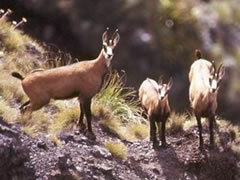 Chamois buck up to 11 inches have been taken on The Hossack and red stag up to 14 points. 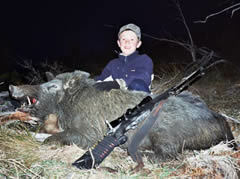 The wild pigs should also be mentioned as this region carries the rare “Canterbury blue” color phase. These are silver gray, with white splotches, bluish when observed at a distance. 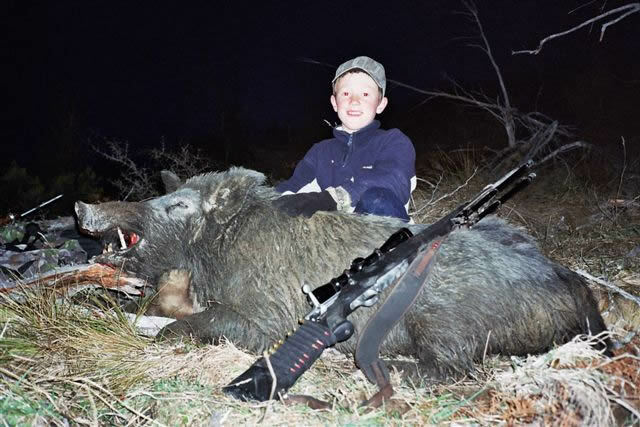 Boars with curved tusks make great trophies. I harvested two blue pigs and just missed out on a 10-point freerange stag. Warm weather had kept the majority of the free-range stags in the bush, so on day four I took advantage of ”The Hossack Royal Guarantee.” This policy allows you to take a wild park 12-pointer if a suitable free-range stag is not found. I finally took a stag this way and recommend all visiting hunters allow time to execute this part of the clause if the free-range stags are not cooperating on their visit. Inside the wild park, I saw numerous stag up to 16 points, and 15 chamois, including some good bucks. Co-owner John Angland told me a number of the best bucks have never been shot at and outwit all hunters intent on taking them. That is how hunting should be. The area also holds fallow deer in low numbers, though having said that, some big bucks periodically appear. 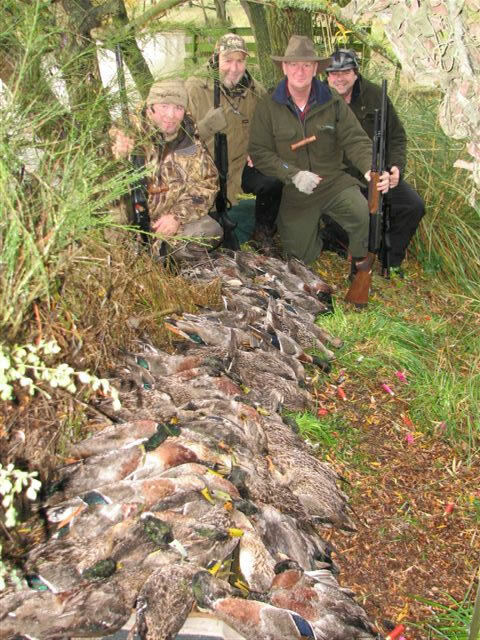 Hunters who wish to hunt other game not found on The Hossack can arrange that with Jeremy Angland too, as he has a wide network of contacts on other properties. 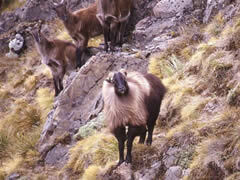 For example, bull tahr are hunted on a property only two hours away. A hunt for wild and free-range red stag is for five days, with four nights at The Hossack and the other day for airport transfers. 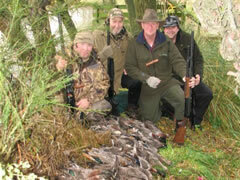 The freerange hunt cost is US$4,750 per hunter, including the day rate. Additional animals and upgrades are per the trophy fee schedule. The Hossack Royal Guarantee applies to this hunt, allowing you to take a wild park royal (6 x 6) red stag at no additional cost. A silver medal stag from the wild park normally costs $4,000 and a bronze medal, $3,000, plus daily rates. A gold medal stag (from the park) goes for $6,500, with a 400-plus SCI stag coming in at $15,000. A Classic Hossack Hunt (red stag and buck chamois) is for five days. The best times are during April and May. The Hossack Royal Guarantee applies to this hunt, too. 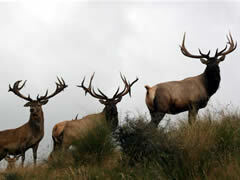 All airport transfers, meals and accommodation are included in the cost of $7,250 per hunter. The daily rate is $400 for one hunter, $300 per hunter for a 2 x 1 hunt. For non-hunters (wife, son, etc.) the rate is $200 per day. The location is only half an hour from Hanmer Springs Township, which has hot springs, a large tourist infrastructure and numerous accommodation and hospitality options. Non-hunting partners or even hunters could base themselves there at their own cost if they wish. Accommodation at The Hossack is in modest separate rooms with a central cooking and gathering area perfectly in keeping with a high-country hunt. There are two hunting huts on the property as well, if hunters decide to camp out near free-range herds. 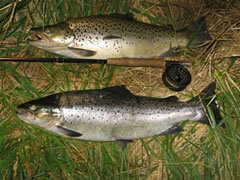 Bring a fly rod—the northern Clarence River holds good brown trout in the three- to five-pound range. Whether hunting free-range or wild park, this is a high-country experience. So general fitness, good boots and clothing, and good optics are worth investing in. Weather in the high country can be temperamental. The main hunting season goes from March to August, and the main hunting technique is spot-and-stalk.